The volume and importance of multimedia data archive increase rapidly over the years. This situation creates a requirement for refined multimedia data archive application that enable for interactive analysis, dynamic and large-scale transaction management. The application needs to be modelled with dynamic data design, open architecture that is easy to be accessed by data stakeholders at any time and less dependent on the location-wise. This article introduces the concept of temporal data element in multimedia data archive management model. Two elements of time, transaction time and valid time are embedded into data design for multimedia data archive. These temporal elements associates with real-world facts, events and can be exploited for query reasoning. To evaluate the model, a web service-based application is developed and deployed under public cloud environment. This application prototype can be benefitted by the multimedia production house or researcher to manage a massive size of multimedia data effectively, systematically and more openly. This study is funded by University of Sultan Zainal Abidin (UniSZA), Code: R0004-R274. 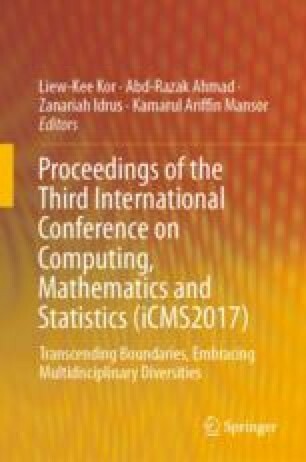 Special thanks to Faculty of Informatics & Computing, UniSZA for all the supports in this research project.